I’ve been thinking more and more about teaching literacy for students today. Digital media has become a primary source of information for many people. Do they know how to read a Twitter thread or write an effective blog post? If someone does not, are they fully literate? I wrote the following piece for our school’s families to start the conversation. I’m sure I will be revisiting this topic again soon. One of my sources of information is Twitter. I follow educators, leaders, journalists, and friends. I also subscribe to a few newspapers, although much of the content I read there is online. As I scroll through articles from a web browser or app, I find I have to work hard to keep my attention focused on the writing. My mind is drawn to the advertisements and other distractions that appear at the edges of the screen. I share this information, both in digital and in print, for a reason. Mainly, when education is tasked with teaching students to read and write, we can no longer limit our scope to printed text. The advent of the Internet has created brand new literacies. In a connected society, we need to be globally literate, in which we can understand people’s perspectives from other cultures and locations. We also need to be digitally literate. Multimedia messages read and heard online require new strategies to comprehend them. At a recent strategic planning for the district, a variety of community members got together with Mineral Point School educators to talk about what we want our students to know, understand, and be able to do. After a lot of conversation and debate, we decided on two big goals: community engagement and academic innovation and independence. These are pretty broad. Basically, we want to improve our connections with our local community around the concept of education, and we want to prepare our students for a changing world. How do we get there? We have already started follow-up conversations at the administrative level. One of the things that we can agree on is for students to be readers and writers in the real world. That means being able to decode and comprehend text both in print and online. That means writing for an audience that could be one person or the world. Speaking and listening also have taken on new purpose when we can communicate with anyone from anywhere. These ideas are both challenging and exciting. I look forward to working with you to help project a course for our students’ futures. This is another reaction I wrote to assigned reading for the graduate course I am taking through the University of Wisconsin-Madison, Technology and School Leadership. Enjoy! Critical literacy is an instructional approach that “advocates the adoption of ‘critical’ perspectives toward text. Critical literacy encourages readers to actively analyze texts and offers strategies for what proponents describe as uncovering underlying messages” (Wikipedia). 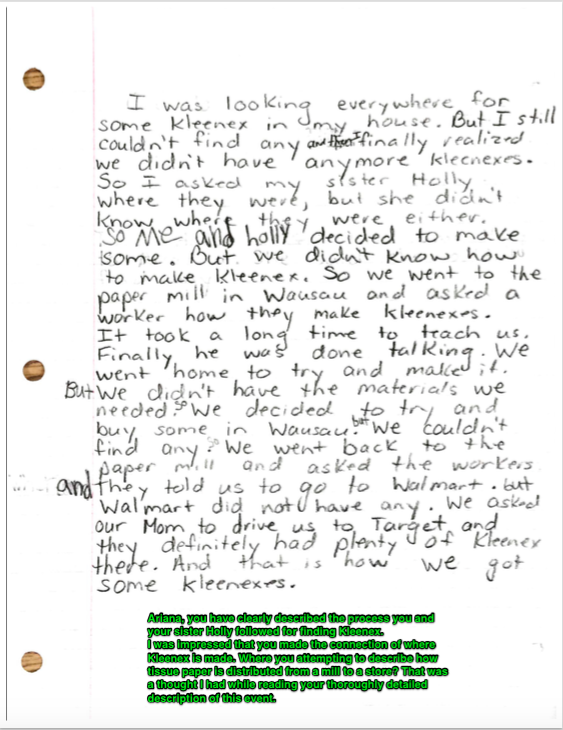 This approach asks readers to investigate why the author wrote what they did, what writing tools they used to convey their ideas and why, as well as to investigate underlying messages within the text. Also important regarding critical literacy is exploring multiple perspectives by reading various texts to understand what concepts a writer left out of a piece and why they might do that. Critical literacy’s roots are founded in social justice. It “requires imagining others’ intentions, adopting multiple perspectives, and imagining social arrangements that don’t yet exist” (Johnston, 73). People from both affluent and non affluent backgrounds benefit from instruction that helps them take another person’s perspective, as well as to have the tools to lift themselves out of poverty. The question then is, What does critical literacy have to do with new literacies, which “include the traditional literacy that evolved with print culture as well as the newer forms of literacy within mass and digital media” (Jenkins, 19)? First, both new literacies and critical literacy demand a context within the broader society. Because of its foundations in social justice, critical literacy may ask students to closely read multiple pieces of work on a relevant topic in order to understand how some writers might exclude certain perspectives in order to better persuade an audience. Likewise, with the new literacies everyone can be an author who brings a specific perspective. People’s positions and experiences described on websites and blogs matter as much as the accuracy of the information presented. “We might well find that much of the meaning to be made from the content has to do with who we think the blog writer is: what they are like, how they want to think of themselves, and how they want us to think of them” (Lankshear & Knobel, 4). Second, students in both instructional approaches are expected to be participants in the learning. Whether a dialogue about what is read and what is written happens online or off, learners should have opportunities to engage in dialogue about information. This includes actively listening to someone else’s point of view without immediately disagreeing, and reconsidering one’s beliefs in light of new information presented. Critical literacy applied in this fashion better prepares students to be college and career ready. 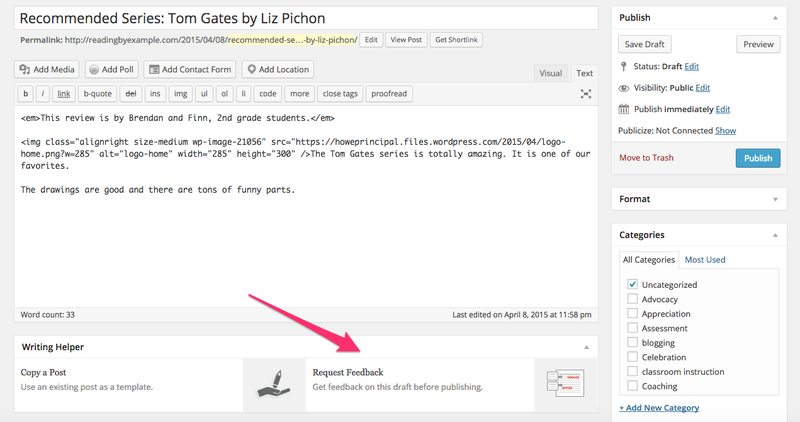 New literacies, with their dynamic capabilities, invites a response from an audience. For example, when someone posts on their blog, this published piece is sometimes the start of a conversation rather than finished work. Within the comments and the sharing via social media, followers and connected educators can engage in a dialogue around the ideas initially shared. The participatory nature of online learning helps ensure that those who post have at least some level of reliable rationale to support their positions. These similarities beg a follow up question: are the new literacies merely critical literacy adapted for a more connected world? Adages such as “Today’s students require tomorrow’s literacy skills” (Forzani, 2) might still apply. Yet the common threads between critical literacy and new literacies are hard to ignore. Forzani, E. (2013). Teaching Digital Literacies for the Common Core: What Results From New Assessments Tell Us. Storrs, CT: University of Connecticut. Jenkins, H. (2009). Confronting the Challenges of Participatory Culture: Media Education for the 21st Century. Cambridge, MA: MIT Press. Johnston, P. (2012). Opening Minds: Using Language to Change Lives. Portland, ME: Stenhouse. Lankshear, C., & Knobel, M. (2007). A New Literacies Sampler. New York: Peter Lang.